During the hiatus caused by the fire in our complex, we've had to temporarily set up an editing computer at the home of our good friends, Nicholas & Jill Wootton of Windmiller Media. As it just so happens, Michael Haven-Holly of Exchange Productions is currently back from Brazil for a month and staying with the Woottons. Since we've been preoccupied with finding a new location to call home, there hasn't been a lot of time to focus on Tarazod projects. 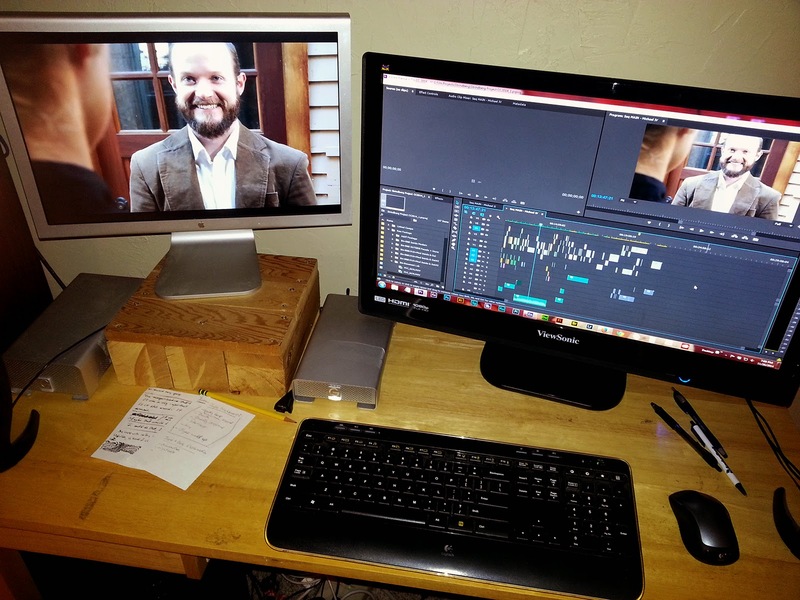 So Michael has volunteered to jump on the edit of our short film, Strindberg's Assistant. It's got a long way to go, but it is taking shape.